Contrast in its purest form. This beautiful house on the beach embodies a modern look and feel. Designed by Karen Berkemeyer. 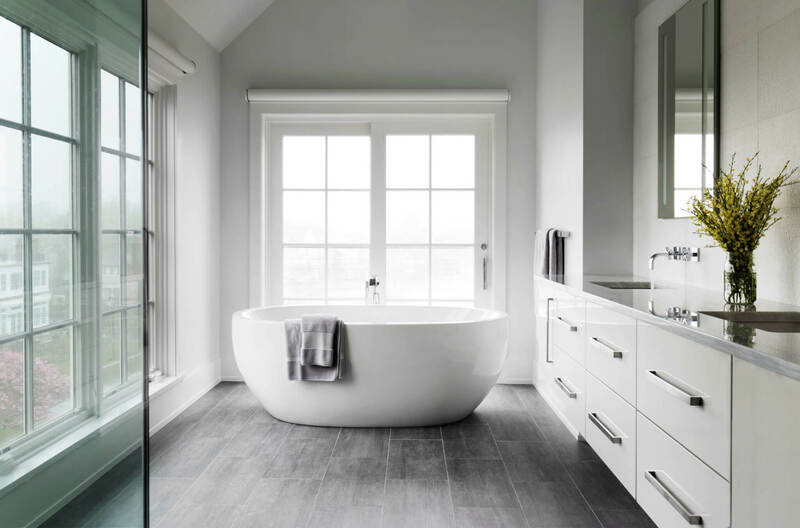 Winner of the 2017 A-List Awards for Transitional/Modern Bath Design, this is the spa inspired master bathroom of your dreams. Designed by Iris Michaels. 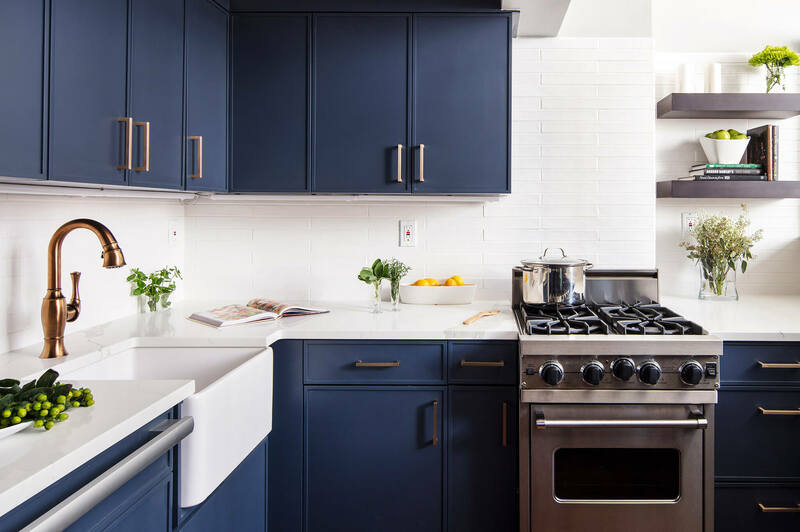 The kitchen in this small NYC studio apartment was re-designed into a stunning transitional style masterpiece. Designed by Iris Michaels. Clean, classic, and full of character. This beautiful home in Rowayton brings you straight to the beach, designed by Iris Michaels. 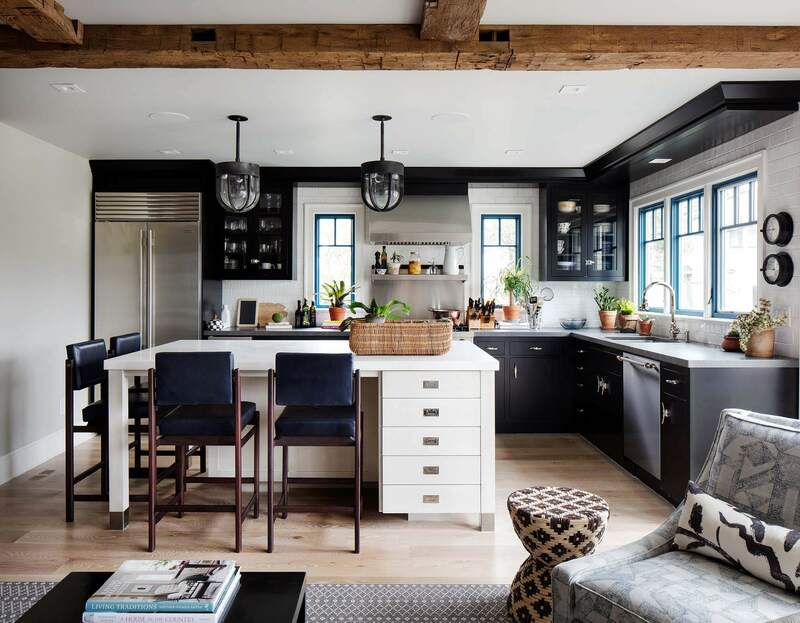 This small, compact kitchen was renovated into a spacious, contemporary masterpiece, designed by Mary-Beth Oliver. Specializing in custom cabinetry by Wood-Mode, Brookhaven, and Signature, we approach cabinetry design with your individual taste in mind. 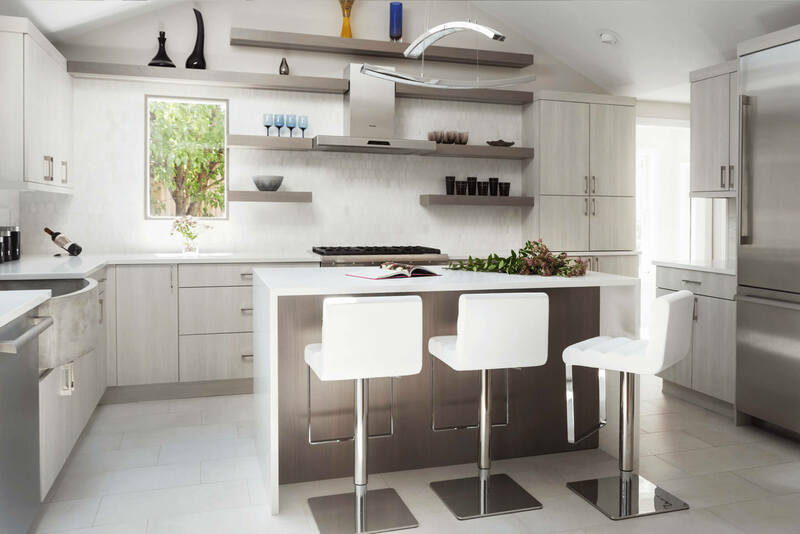 For more than 30 years, our award winning design team has produced residential projects that embody our clients’ personal taste and style while staying within your budget. We provide a wide range of porcelain, ceramic, glass, metal, and stone that is considered to be one of the most extensive in the industry. 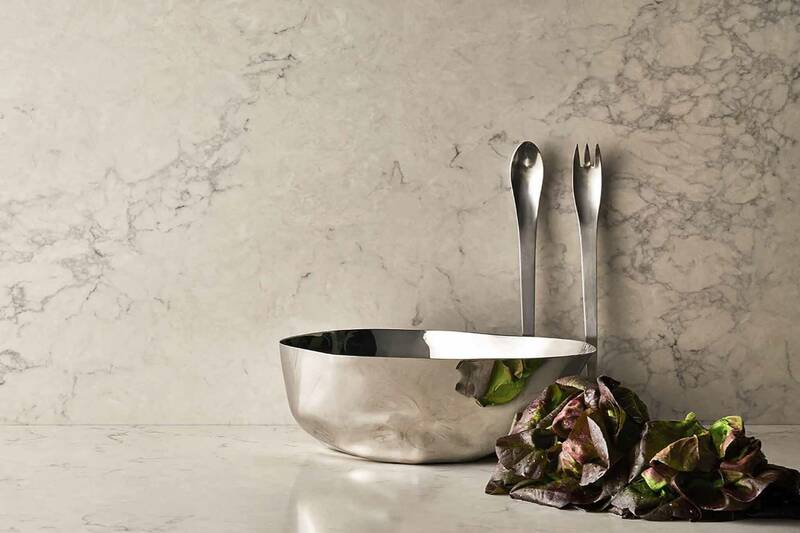 Hand-selected for quality and value, our plumbing suppliers are the best in the industry, including Bain Ultra, Marzi, Palmer, Rohl, Sigma, and Toto. With more than 30 five-star reviews across the web, here's what some of our clients had to say about their experience working with KBHome. We have been a strategic partner with Kbhome for over 10 years, they excel at providing our clients with quality products as well as great design and management of the build process. Karen’s team is experienced and patient to handle all styles and budgets. I have had the pleasure working with Karen Berkemeyer and her team for more than 20 years. Throughout this long relationship they have maintained an extensive showroom filled with diverse and interesting products that our clients love. Karen has retained a talented team of in-house designers who understand our needs as design professionals as well as our clients discriminating taste. I have used Kbhome for many projects over the years, they provided excellent customer service to both myself and the my client. 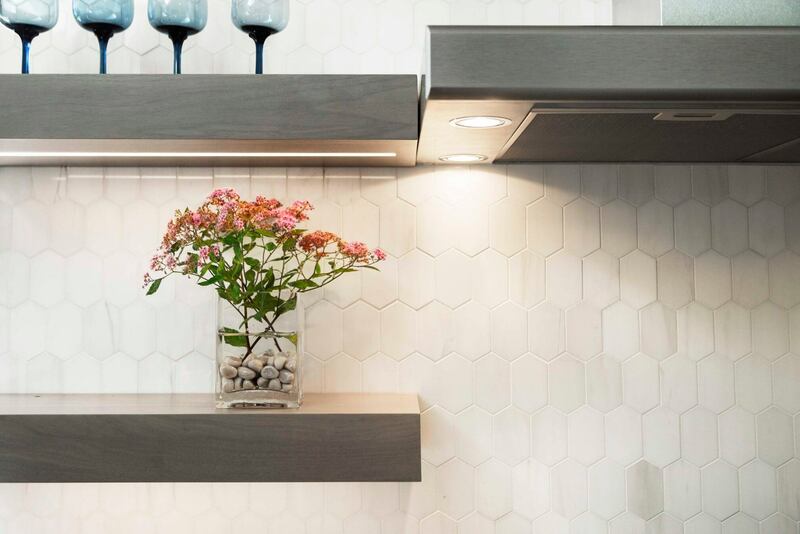 Their expert design staff will help you you with both small and large projects and have a fabulous collection of tiles in all price points, style and design. Karen designed my kitchen over 20 years ago and it is as beautiful today as the day she had it installed. I have worked with Karen on many of my design projects and she always goes above and beyond to accommodate all of my needs. She makes my job easier because of her professionalism, excellent customer service, flexibility and of course; beautiful products. I love working with Karen Berkemeyer Home. They have a huge selection of high quality tile. Everyone is very knowledgeable of their products and really help in creating unique designs that are within my clients budgets. Having worked with Karen and her staff as a home owner and as an interior designer, I can attest to the attention to detail, personal service and insightful recommendations provided. Iris is a joy to work with and she always brings thoughtful ideas to every project we have worked on together. I would not use anyone else for a kitchen or bathroom renovation! Karen has always been very responsive and attentive to the clients needs and I highly recommend working with her and her team. Great store: Great selection, very professional, responsive and courteous service. Mary-Beth, the designer I worked with, was great at listening to what I wanted and making helpful suggestions. Great follow-up with detailed drawings. This place is a pleasure to do business with.